The Vermont Brigade in the Seven Days: The Battles and Their Personal Aftermath by Paul G. Zeller is another fine book on a Vermont unit by this same author, all of which have been published by McFarland. Focusing on the First Vermont Brigade or “Old Brigade”, a bedrock unit of the Union Sixth Corps in the Army of the Potomac, Zeller takes readers through the formation of the 2nd, 3rd, 4th, 5th, and 6th Vermont regiments. He moves on to their first battles, including their first fight at Dam No. 1 on the Peninsula, the first time the entire Brigade took the field as a unit at Savage Station on June 29, 1862, to White Oak Swamp on June 30, 1862, and through the end of the Seven Days’ battles around Richmond, VA early in the Civil War. 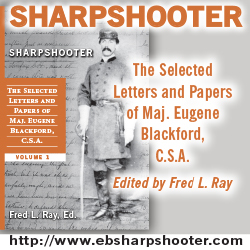 As the author has done in previous books, he utilizes many first person accounts of the everyday lives and battles of the First Vermont Brigade. In addition, Zeller highlights the impact wounds and death had on specific members of the Brigade and their families, bringing home the true impact the Civil War had on America. Author Paul Zeller is amassing quite a resume of books on Vermont units during the Civil War. He is a retired US Army Reserve Colonel and currently lives in Williamstown, Vermont, perfect for doing local research on his topic of interest. Zeller’s books are known for the abundant use of primary sources, which he skillfully weaves into his narratives to help these men tell their own story. This volume is, happily, more of the same. The 2nd, 3rd, 4th, 5th, and 6th Vermont regiments were all formed in the summer and fall of 1861, and all ultimately fought throughout the entire war, helping to force the surrender of Lee’s Army of Northern Virginia at Appomattox Court House. William F. “Baldy” Smith, who would go on to be a Sixth Corps division commander and later a Corps commander, played a big role in getting the brigade formed. Union policy was to mix regiments from different states into brigades, so as to mitigate effect on any one geographic region in the event of a battlefield disaster. Smith, however, was close with Army of the Potomac commander George McClellan, who gave the go ahead to create a Vermont Brigade, which William T. H. Brooks originally led. The last battlefield commander of the Vemonters, Lewis A. Grant, was already present as a Lieutenant Colonel in the 5th Vermont. He and many others would fight the Confederates for nearly four long years. After spending the Fall of 1861 scouting for Confederates south of the Potomac River near Washington, D.C., the Vermont Brigade, part of Baldy Smith’s Division of IV Corps (later reassigned to VI Corps), was transported by sea to Fort Monroe on the Virginia Peninsula in late March 1862. As part of Erasmus Keyes’ IV Corps, it was on the left wing of McClellan’s Army of the Potomac as is moved forward up the Peninsula to establish contact with John Magruder’s Confederate Army. After running into the Confederates at Lee’s Mill on the Warwick River on April 5, the Vermonters and the rest of McClellan’s men settled in to wait for Siege guns to be brought up to bombard Yorktown into submission. On April 16, many of the Vermonters saw their baptism of fire at Dam No. 1, as McClellan ordered a reconnaissance mission by Baldy Smith’s Division. The men were sent in piecemeal across the river and were not well supported, but they fought bravely for the first of many times in the war. Ultimately the Confederates abandoned Yorktown and the Warwick River Line just as McClellan was to begin his bombardment, and Keyes’ IV Corps was ordered to pursue with the rest of the Army of the Potomac. The Confederates made a rear guard stand at Williamsburg on May 5, 1862, but the Vermonters weren’t heavily engaged aside from the 3rd Vermont. Throughout May the Army of the Potomac, including the Vermonters, slowly moved west towards Richmond. During this time the Vermont Brigade, along with Baldy Smith’s entire division, was transferred to the newly created Sixth Corps, which was initially posted on the north bank of the Chickahominy River. After the Battle of Fair Oaks/Seven Pines on May 31-June 1, 1862, Smith’s men were moved just south of the Chickahominy River in the vicinity of the two Garnett farms and the Gouldin Farm. As the Seven Days’ Battles began and the Union Fifth Corps was forced to retire eastwards north of the Chickahominy, Lee’s Confederates south of the river began probing the Union lines, including those of the Vermont Brigade. In several running skirmishes in the area just south of the Chickahominy River at New Bridge, the First Vermont Brigade along with other Union brigades fought Toombs’ Brigade and Anderson’s Brigade from Magruder’s Division at the Battles of Garnett’s and Gouldin’s (Golding’s) Farm. On June 29, 1862, McClellan’s Army was in full retreat south the James River. Aside from Fifth Corps, most of his army concentrated at Savage’s Station on the Richmond & York River RR this day. After much confusion in which some Union troops pulled out without notifying anyone, the Vermont Brigade ended up being one of the main participants in what became known as the Battle of Savage’s Station. The Confederate Brigades of Kershaw, Semmes, and Barksdale squared off with the Union brigades of Burns and the Vermont Brigade, just south of the railroad and along the Williamsburg Road. In the ensuing fight, mostly occurring in the dark woods as night was approaching, the Vermont Brigade suffered significant casualties. Especially badly damaged was the 5th Vermont, which suffered the single greatest loss in numbers of any Vermont infantry regiment in the entire war in any one fight. Three regiments of Semmes’ Confederate Brigade were carrying smoothbore muskets firing buck and ball. This combined with the very short ranges of most of this fight contributed greatly to the slaughter. Especially amazing were the stories Zeller told of desperately wounded men managing to march with their commands all the way back to Harrion’s Landing on the James, where they managed to avoid capture. Many men of the Vermont Brigade were not so lucky, having to be left behind at the Union field hospital at Savage’s Station as McClellan continued the Union retreat. The next day, June 30, 1864, Smith’s Division was tasked with defending part of the White Oak Swamp line facing north, while other elements of the Union army faced west near the Glendale intersection of multiple key roads in the region. Stonewall Jackson, with his own division and other Confederate units, soon confronted Smith’s Division and other Union units. The tired Vermonters had fallen asleep immediately upon reaching this line, but were rudely awakened when Jackson brought more than two dozen cannon to bear on the position. In the artillery duel that followed, more confusion than actual damage was done. Jackson never did attempt an infantry assault, and the Vermont Brigade escaped again to Malvern Hill, where they were positioned on the far right and played no part in the June 1, 1862 Battle of Malvern Hill. The next day the Army of the Potomac made it to the James River at Harrison’s Landing. The Seven Days’ was over. Zeller’s sixth and last chapter in the book goes into great bibliographic detail of 29 soldiers who were wounded or killed along with the impacts to their families. Many men lived long lives despite suffering from often ghastly wounds, and many were wounded again after the Seven Days. Others suffered horrific accidents after the war, and one, the son of an eccentric member of the Vermont Brigade who had been captured and died in prison, even committed murder. The impacts of the Civil War often were felt long after the fighting ended, and this chapter is filled with that truth. The maps in the book are done by well-known Civil War cartographer George Skoch, including some done on the Battles of Garnett’s and Gouldin’s Farms which to date are probably the best maps of those small fights. Zeller’s use of first person accounts is exemplary, and continues his fine track record in that regard. The decision to closely follow some of the specific men who were wounded or killed at these battles and the impact their misfortune had on their entire families is an interesting addition to the book, add an extra dimension to the information presented. One issue I noticed was the lack of complete editing. This book contains some odd-subject verb agreement in places, extra or missing words, and even misspelled words. It was noticeable enough that it deserved comment in the review. 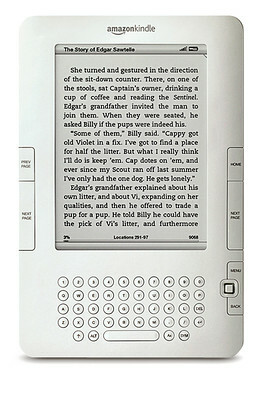 These are minor issues and did not significantly impact the book’s worth or my reading enjoyment. 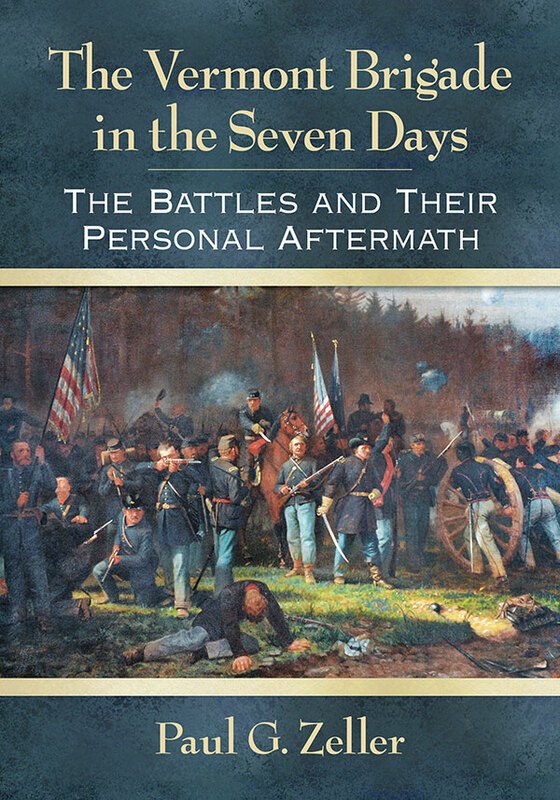 The Vermont Brigade in the Seven Days: The Battles and Their Personal Aftermath by Paul G. Zeller is an interesting new addition to the available literature on the Seven Days. Choosing to focus on a specific unit and following them throughout the fighting changes the focus a bit and allows readers to view the Seven Days with a more zoomed in lens than is usually the case. Readers interested in the Seven Days or these five regiments in particular will want to own this book. In addition, those interested in first person accounts of the fighting will find this a fine addition to their libraries. It is best if readers have a working understanding of what happened during the Peninsula Campaign and the Seven Days’ Battles in order to get the most out of this book. Although Zeller does cover some of the reasons why certain things were happening, the focus is most certainly on the Vermonters and their personal experiences. Taken as a whole, this book is definitely recommended, despite the editing issues mentioned above. That was fast! I don’t read reviews of titles I plan to cover until after I write my own but I’ll look forwarding to coming back here later. Since the Peninsula is one of my favorites, and it seems like not much has come out recently, this turned into one of those “open the package, startreading, and never stop until fonishing” sort of deals. I have Zeller’s other books and enjoyed them too, so that had something to do with it. Brett: Thanks for posting this thorough review. As usual, I am reluctant to plunk down the exorbitant price which this publisher commands for a 200 page book (especially given its routine author-dependent editing practices) but the Skoch maps and my admitted Peninsula Campaign addiction may push me over the edge. You’re welcome. I completely understand. McFarland often has pretty niche topics, so most of the time, at their price points, it really comes down to how interested you are in the topic, and I cant imagine too many people buying them all. McFarland is a pretty prolific publisher.